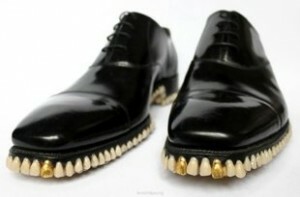 the bottom, with two gold teeth at the toes of the shoes. Shudder. This entry was posted in Men's Shoes. Bookmark the permalink.